The robbery took place on Bradford Road. 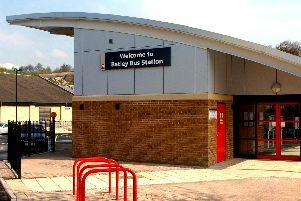 A Batley man beaten and robbed on his way home from a night out on Saturday has described his ordeal. Jimmy Wood, a 32-year-old manufacturer who works in Shaw Cross, was set upon by a gang on his way back from a night out at around 4am on Bradford Road. He was hit, beaten to the floor and kicked by the thugs, who told him: “Give us your phone or we’ll blade you”, with one of the suspects producing a knife. “It was horrible, all a bit of a blur. You just don’t expect that sort of thing to happen to you. Jimmy, who sustained facial injuries in the attack, described the gang as in their late teens to mid-20s and of Asian heritage. A West Yorkshire Police spokesperson confirmed that the incident is being investigated. They said: “Enquiries are ongoing.